Adductor muscle strains are very common among athletes whose running involved sudden changes of direction. The location of the pain is usually very easy to identify as the pain usually present at the belly of the adductor longus at the inner thigh or near the origin on the inferior ramus. The pain normally will start immediately after the injury. Physiotherapy and chiropractic care can help to increase the healing rate and reduce the time required to get back to sports. Stretching of the adductor muscle with passive hip abduction can cause the pain. Resisted adduction will cause active contraction of the muscle can cause pain at the injured site too. PRICE regimen for acute injury should be initiated within 48 hours after the injury to reduce the swelling and bleeding at the injured site. PRICE regimen includes protection, relative rest, ice, compression and elevation. Early stretching of the adductor muscle is not recommended for treating acute muscle strain as this may cause chronic tendinopathy of the adductors in the future. Progressive strengthening exercises such as pain-free range of motion (adduction and abduction) can be commenced after the first 48 hours if there is no other re-injury of the adductor muscle. Resisted adduction/flexion of the hip with a resistance tube or light weight can be included if active abduction and adduction are not causing any pain. Stabilising exercises such as pulleys with other leg and one leg squat is recommended to strengthen the core muscles and the adductor muscles at the same time. Sudden onset of hip pain is quite common in athletes who are involved in sports that require a lot of twisting, turning and kicking. 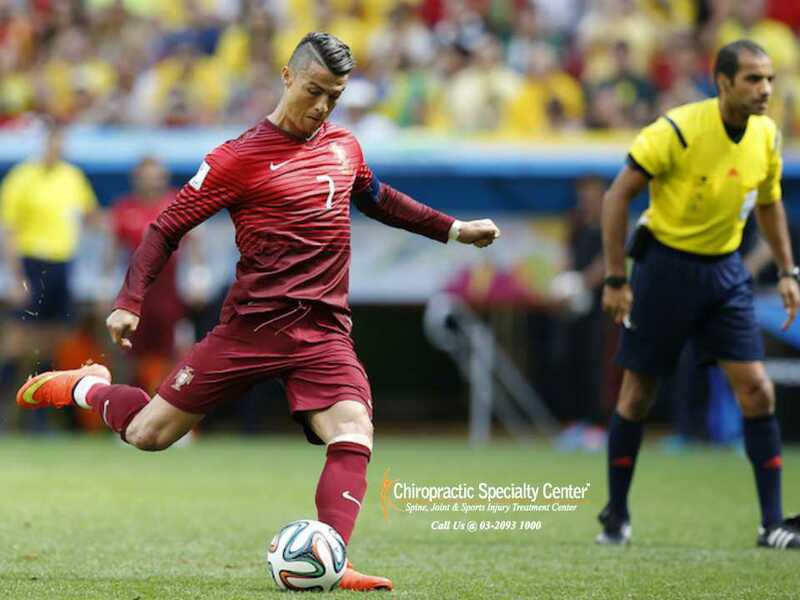 Athletes who are actively involved in soccer and Australian football are at a higher risk of sudden hip and groin pain due to musculoskeletal injuries. The presenting symptoms may vary according to the structures that are damaged. Adductor muscle strain is a very common cause of inner thigh pain. 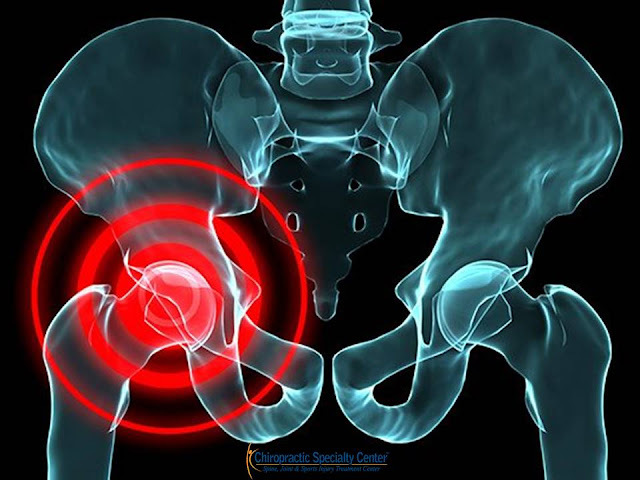 Injury to the hip joint, such as labral or chondral tear, can lead to severe hip and groin pain. Injury of the muscles and bursae associated with the hip joint can co-exist with a hip joint injury. The location of the pain is the most useful sign to localise the area abnormality. Differential diagnosis can be made based on the location of the pain. The adductor muscle, iliopsoas and rectus femoris are the more commonly strained muscles. A strain of the above-mentioned muscles can cause pain at the inner thigh or groin region. 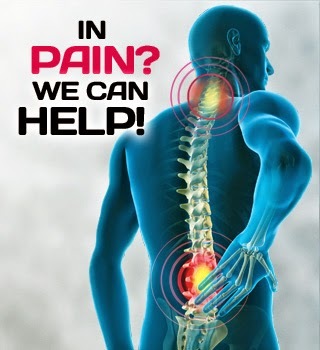 There are some more severe causes of hip and groin pain that should not be missed by the health care practitioners. Intra-abdominal abnormality such as appendicitis or urinary tract abnormality can sometimes refer pain to the inner thigh and hip region. Rheumatological disorders such as ankylosing spondylitis can cause hip and groin pain as there are extensive tightness in the hip flexors.